I really enjoyed the article and in particular the youtube clip. Thanks. I took the liberty of editing your comment as you had a typo in your URL and, having taken a brief look at your site, I thought it was worth correcting the link. Great bit of work, and as a boulderer I am now typing with sweaty hands. Keeping going at a project is something we do in our ‘real livers’ but some how it sometimes does not transfer into our business lives, thank you for pointing out the obvious, and I mean that as a complement. It is suprising how we fail sometimes to translate the normal from one area of our lives to where it is equally appropriate in other areas. 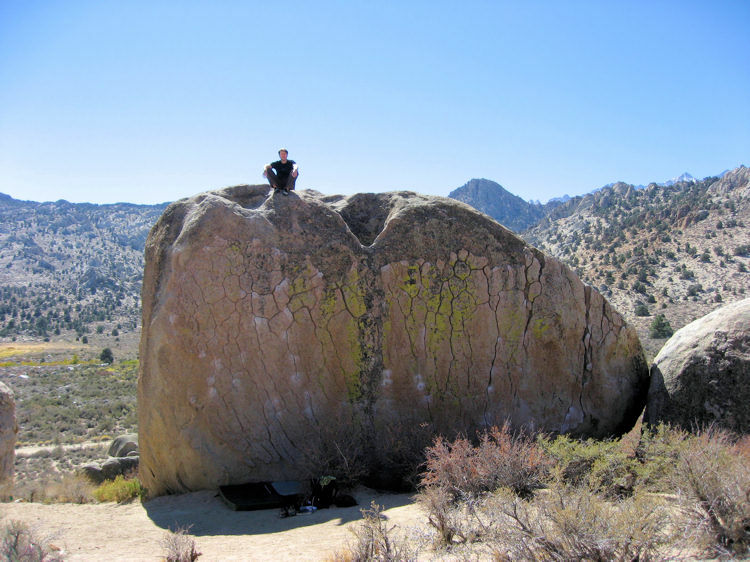 Just a thought on the whole bouldering side of things, did you move on to working other problems/projects to keep your mind fresh for your desired goal while you were at the buttermilks? I am wondering if that is also something that could translate to our business lives?? Thanks for the comments. I moved on to Birthday Problem Direct (V3) on the last afternoon I was at the Buttermilks. Had the final (glassy) nubbin in my hand and unaccountably fell off. Thereafter I was too tired to get much further, despite throwing myself rather wearily at it. 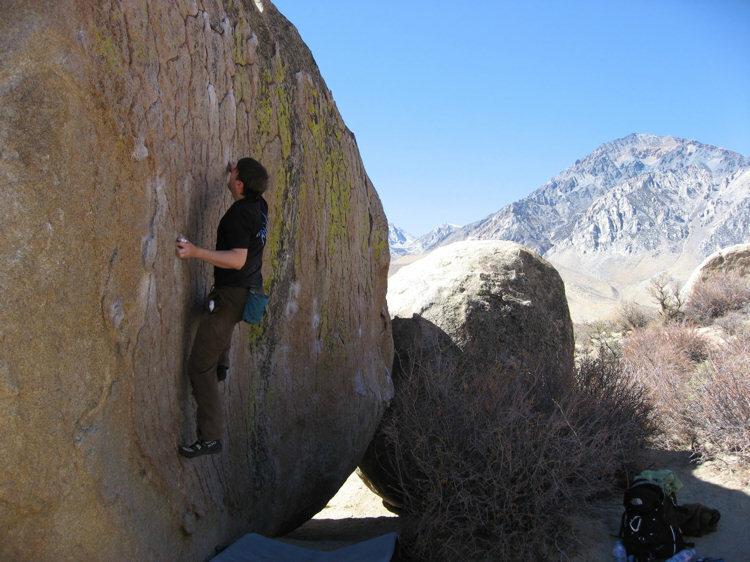 Haven’t been back to Bishop since graduating to V4 in the UK (aka V3 in Bishop), but would love to do so. BTW found this YouTube video of some one else flashing GWE, at least he made it look a little bit tricky!